For almost 17 years now the “Izbata” Restaurant has been tempting its clients with qualitative dishes and excellent drinks. 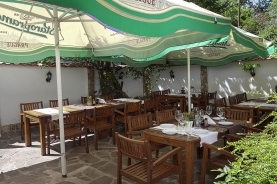 The restaurant opened its doors in 2001, staking on the Bulgarian way of life and Bulgarian cuisine. Already more than a decade the Winery attracts numerous visitors and renowned public figures. 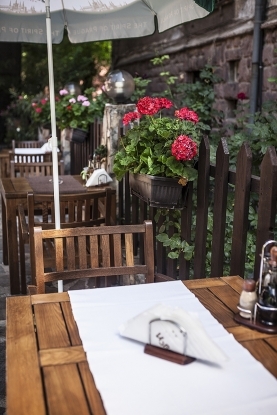 “Izbata”’s charm lies in its summer garden that offers calm and freshness. 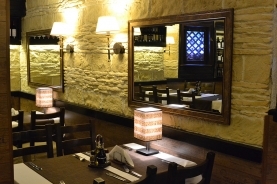 In the course of time the restaurant’s team changed the style – both of the interior, and of the menu, with the aim to provide variety to its clients. The dishes of the Bulgarian national cuisine have been replaced with European and author’s cuisine. 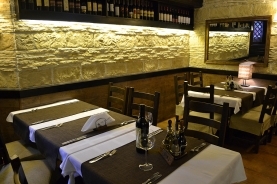 The wine list is composed entirely of Bulgarian wines, with the firm belief that the national wine production by no way yields to the foreign one. Situated in a quiet street in the central part of Sofia, the “Izbata” Winery is one of the tourist attractions for the foreign visitors to Bulgaria’s capital.